The Baby’s name was going to be Emily. And her Valentine’s Day Cards would be addressed to “Emily12“. Which would totally screw with my unoriginal sense of unoriginality. And we just couldn’t have that. So I named her after Elvis. 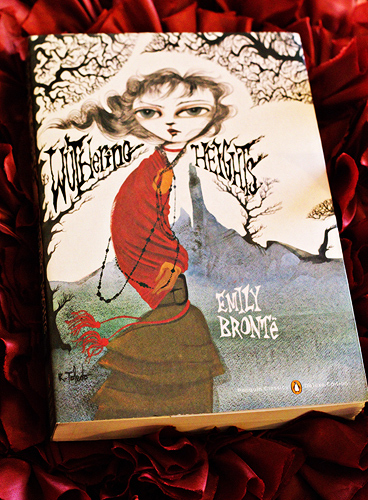 And refuse to pass by any editions of Wuthering Heights not currently gracing my bookshelves. I picked this one up today… The cover art is by Ruben Toledo, and it seems as if he has done an entire collection of classics for Penguin. And am determined to PACE myself in the spending of all of my money in order to get them all. Determination isn’t at all original, now is it?